Nicolas Schlumberger, ancestor of the Alsatian branch of the family, left his native Wurttemberg in1542. He was the youngest son of a wealthy, honourable family from the Ulm district. He decided to try his luck in Alsace, in the township of Guebwiller. Prior to his arrival in Guebwiller, Nicolas was by no means of a contentious nature, but he rebelled against the state ruler, the prince Abbot of Murbach, with whom he was in permanent opposition. He became persona non grata and was required to leave. In 1545 he settled in Mulhouse and he became a tanner, thus beginning a dynasty of tanners, well known in Mulhouse for nearly two centuries. In 1808 – 250 years after his ancestor – Nicolas Schlumberger decided to settle in Guebwiller and establish his own weaving mill. In 1812, in partnership with his father-in-law, he began to specialise in finely woven cotton, and his firm very rapidly occupied a prominent position in a section of the market that managed to hold out rather well during the different crises of textile overproduction. Nicolas Schlumberger was thoroughly modern-minded and had a deep admiration for England where, in 1807, he spent some time as an apprentice in a weaving mill. Keen on new techniques, he made another trip in 1817, and came back with the intention of making machine tools in France by using the plans he had sewn inside the lining of his coat. This smuggling operation – almost a case of industrial espionage – marked the beginnings of the machine-tool making activities of the Schlumberger firm. An audacious but prosperous businessman, Nicolas Schlumberger was a Puritan whose moral fervour was allied to the most generous social ideas : firstly, the « refusal of social hierarchy » : each Puritan was to be the master of his own destiny ; secondly, « profession as a vocation » : work was to rank first amongst the occupations of human life ; and thirdly, « asceticism applied to good management » which presupposed a dedication to work, the acceptance of specialisation and of mobility, and the search for profit. The latter was not only held to be a palpable sign that the work had been efficient and thus useful to men, but was also required to be invested. Finally, the fourth fundamental principle was « the transcendent nature of the company » : good management could be of social value only within the permanent framework of the company. Nicolas Schlumberger firmly held to these principles and expected them to be fully respected throughout the firm. Offenders were fined and such fines helped finance the charitable services of Nicolas Schlumberger & Cº. The factory personnel benefited not only from this mutual insurance scheme, they also had access to lodgings in housing estates and to a school within the factory perimeter. Moreover, they had access to a shopping cooperative where they were able to buy staple goods such as bread, potatoes, lard and cloth. According to Nicolas Schlumberger’s puritanical convictions, social aid should never be free of cost. If a worker wished to benefit from social aid, he had to pay a contribution, even if the latter was to be modest. 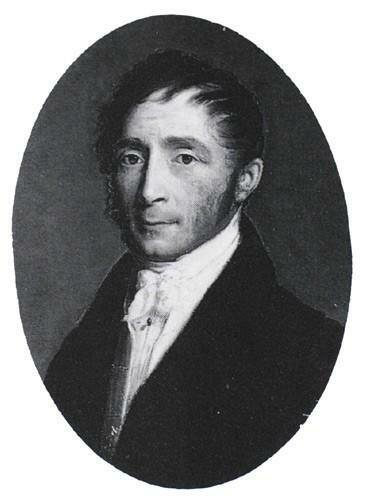 Nicolas Schlumberger was of a progressive rather than paternalistic attitude – as were the other members of his family such as, Jean-Jacques Bourcart for example, who proposed a law limiting the number of child working hours. 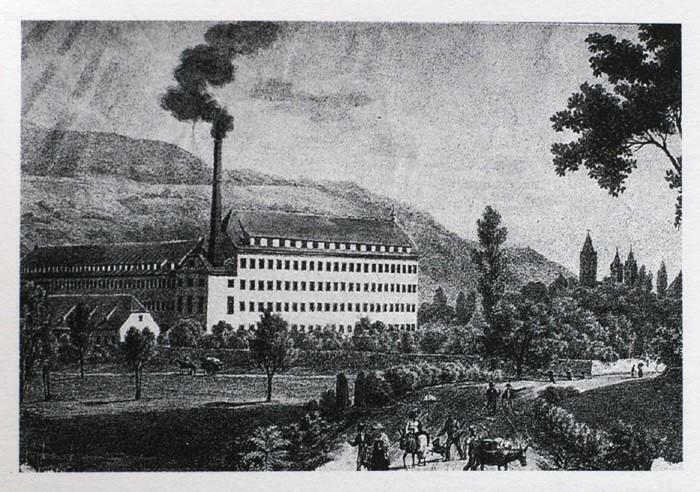 When Nicolas Schlumberger died in 1867, the foundations of the family business were firmly laid in Guebwiller. It was managed by Jean and Adolphe, two of his sons ; but the outbreak of the 1870 war was about to cause upheavals in Alsace. In 1871, the Schlumberger family was faced with the same dilemma as all families in Alsace and Lorraine : were they to stay in what was now German territory, or should they leave ? A choice made by some was to move their factories to the French side of the Vosges. This was no cheerful prospect either for the Schlumberger family or for their numerous factory workers amongst whom many cultivated small plots of land. As a result, and in spite of their opposition to the German occupation, they decided that Nicolas Schlumberger & Cº would remain in Guebwiller. For Jean Schlumberger’s son Paul, the problem was not the same. He was married to Marguerite de Witt, the granddaughter of Guizot, government minister under the July Monarchy. Paul was deeply attached to France, and knew that some day his sons would have to leave Guebwiller. At the age of 15, Alsatian youngsters were faced with the cruel choice of registering with the German army or going into exile. For Paul and Marguerite Schlumberger the choice was made without any hesitation : their sons would not wear the German uniform. Marguerite Schlumberger-de Witt was to lead the passive resistance that had begun before their departure. When the Kronprinz visited Guebwiller, he found the town with all shutters defiantly closed in protest. Marguerite Schlumberger-de Witt was not a mere upper-class patriot ; she encouraged the opening of two “tea-totaler” cabarets in Guebwiller where one could drink broth. She became president of an association for the rehabilitation of prostitutes ; she was one of the first French suffragettes and the president of the International League of Women’s Rights. It can truly be said that her children were brought up in the virtues of patriotism and self-will. One after the other, they left Guebwiller : Jean in 1892, Conrad in 1893, Daniel in 1894 (killed in action in 1915), Marcel in 1899, and Maurice in 1901. Paul Schlumberger had no intention of living on his private means. Settling in Paris in 1901 he took an active part in the running of the new companies established by his family and supported his children’s plans. Jean, the eldest, was the first to benefit from his father’s benevolent help. As the latter had had to renounce to his scientific calling in order to join the family business, he had no intention of thwarting that of his children. If Jean wished to become a writer, let him become a writer. He wrote fairly talented novels of a moralistic nature : for instance, the destiny of a family or a group, like Saint Saturnin. 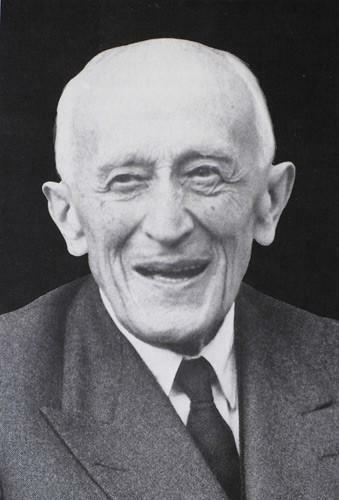 But it was his collaboration with André Gide and Gaston Gallimard – with whom he founded the Nouvelle Revue Française – that assured him a lasting place in the history of French publishing. Jean Schlumberger’s two brothers, Conrad and Marcel, had chosen a very different path : that of scientific research. Again, their father stepped in to help them and made sure that the funds invested would be put to good use. 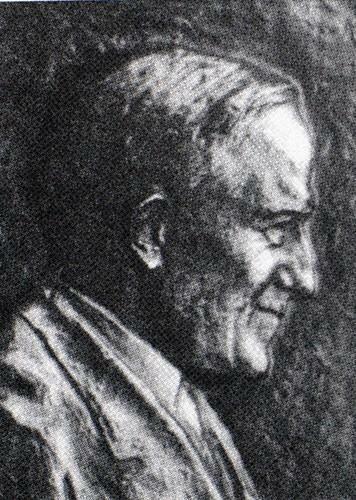 In 1919 he wrote the terms a moral agreement to be signed with his sons : « I will provide my sons Conrad and Marcel with the necessary funds – limited to a maximum of five hundred thousand francs – to carry out studies that will lead them to search by means of electric currents into the nature of the subsurface. In return, my sons will refrain from scattering their efforts and abstain from carrying out researches or inventions in other fields. This field of activity is wide enough to satisfy their inventive genius and they must devote themselves entirely to its exploration”. The notion of specialisation expressed here was dear to the Schlumberger as it was to all Puritans. Long before the gaulliste idea of participation in profits, the partners of the Schlumberger bank were going beyond a mere redistribution of profits.